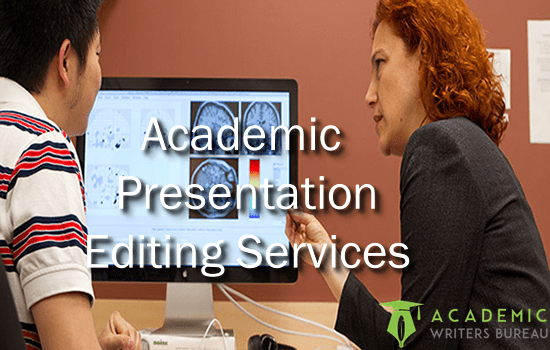 Online Academic Presentations Editing Services. Best Online Essay Writing help for Nurses. An academic presentation is a process for presenting a particular topic in front of an audience to inform and persuade them. Before standing in front of an audience, your presentation should be in the proper language and context. 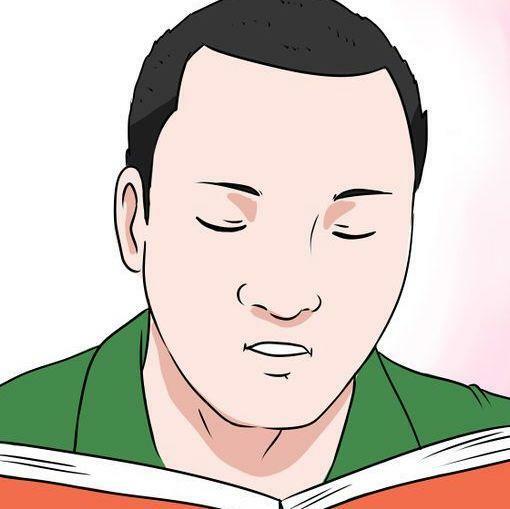 It is important to read it over, identify and eliminate the errors. It is likely that you will miss some errors or inconsistencies when editing your work. Academic Writers Bureau is committed to helping students achieve their desired grades by providing extensive editing that improves their work by removing errors and improving structure. Our clients get an opportunity to find a professional editor who has the experience to handle the stringent demands of editing scholarly work. We will assign someone with a background in the subject of your presentation. Your editor will help you to edit all the areas from word usage, sentence structure, paragraph transitions, and relevance of the overall content. We also check if the message fits the context, visual aids and if it is an interesting language that captures the attention of the audience. Editing is a strong foundation for academic work. It is a delicate process probably than actual writing as it is the final process to determine if there are errors that can affect your grades. When you provide us your needs, we not only remove errors but also improve the presentation of your work to make it stand out. Our considerable experience enables us to assist native and ESL students in improving English proficiency as well as other issues with text. Academicwritersbureau.com editors are highly qualified individuals with Master’s and Ph.D. in the subject you are presenting. Each of them has a good command of English language. They have mastery of divergent concepts and rules of grammar which comes in handy when they are editing typos and grammar errors. They are also creative which a critical skill is when you upload an assignment that takes long to address the subject. Our editors use this creativity to execute surgical maneuvers to remove the undesirable content and join up the rest in a consistent way that leaves a mark on the readers. AWB promises and delivers quality service. We always maintain high standards by hiring skilled, well-educated editors with special skills in their field. We only assign your work to an expert in your subject who understand the in and outs. To keep our editors in the best form, we train them regularly on all aspects of editing. A team of senior editors reviews the orders amended by our other staff to make sure that they match the requirements of the client and our quality standard. Our service is built on transparency and honesty. We do not hide any information regarding your order so as to maintain a conversation that helps us to meet your requirement and standard. In need of Editing Services on Your Presentation? Let our editors do the work for you. We promise to deliver to you a very professional and clear content. How do you choose an editor for me? Am I assured of timely service? We are strict on deadlines. Since we have a large pool of editors, we pick one from your academic area to start editing your work immediately for timely completion. How fair are your prices? Pay via PayPal or main credit cards. When you make payments, our secure system protects your identity and card information. What if I find errors in my edited work? Have Your Presentation Edited and Styled Now. I like the commitment by AWB. I needed urgent editing, and they completed it within a short period. The fast service helped me to improve my work and at the same time to submit on time. Ordering for editing from Academicwritersbureau.com has proven to be such a superb idea. After their work, my presentation is better than I expected. I recommend AWB to anyone with error-filled content. The quality of editing, timeliness and communication are amazing.